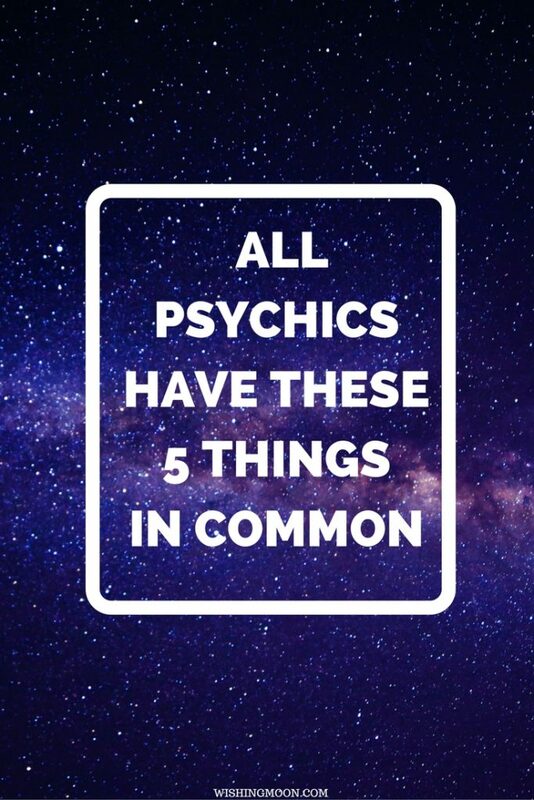 What do all psychics have in common? People with psychic abilities come from all walks of life. They have different backgrounds, experiences, nationalities, ages, genders and appearances. You’ll probably never find two psychics who are identical to each other. However, there are certain characteristics that all psychics have in common. People with psychic abilities tend to be extremely sensitive to the world; especially the people around them. A high sensitivity to the thoughts, feelings and emotions of others is present in almost all psychics; they’re very in tune with the world’s energy which is how they channel their psychic abilities. This sensitivity means that often, psychics can feel weighed down with other people’s emotions. For example, if they around a person, or a group of people, who are feeling anxious, they may find that they start to feel anxious too. They can also identify how someone near them is feeling when others cannot. Some psychics have sensitivity to specific senses i.e. touch, smell, hearing, taste or sight. They can therefore feel very sensitive to loud noises or certain touches. The ability to be introspective and reflect inwardly is common in psychics. Psychics have a confidence in their inner awareness and learn to trust it over what others around them are saying. It can take some practice to find this confidence, usually by trial and error, but all psychics are born with an innate, strong, inner awareness that others don’t have. A lot of people with psychic abilities showcase a talent or love for the creative. This can be anything from a love of literature and poetry, to being a brilliant painter. This creativity is ingrained in people with psychic abilities and goes above and beyond passion; the creativity is a part of them. It is thought that many of the world’s greatest artists have or have had psychic abilities. We all have very active imaginations when we are children but a lot of us lose this as we get older. However, a strong imagination is very important for people with psychic abilities. In order to have vivid daydreams, visions and a clear mind’s eye, you have to have a strong imagination. It is through the same channels that psychic visions, premonitions and feelings occur. An open, active imagination means an openness to psychic capabilities. Because psychics are so in tune with the emotional state of others, it can be quite overwhelming. That’s why a lot of psychics like to surround themselves with animals instead, for a little bit of emotional tranquility and peace. But that’s not to say they’re not in tune with their animals! People with psychic abilities tend to be loved by animals and have a natural knack with them. Do you see any of these traits in yourself? The above characteristics can be really strong indicators that you have psychic abilities. You can read more of our psychic guides to learn more about psychic abilities and ways you can grow your psychic intuition.